Last month, team adidas got to work on a very exciting new launch as the new adidas Athletics range was released in the UK. Aimed at the performance category, the hero item is the Z.N.E. hoodie, with its hood specifically designed to close off all other distractions before you take on the competition. In amongst a super slick global advertising campaign featuring no less than Gareth Bale, Jess Ennis-Hill, Max Whitlock, Paul Pogba, Tom Daley, Ana Ivanovic and NBA star James Harden to name a few, there was also large murals painted of the superstars across London and the small matter of the Manchester United team wearing the Z.N.E. hoodie on to the pitch prior to their derby with Manchester City. Supporting it through content creation we were tasked with identifying social media influencers who could drive the campaign from a UK perspective. 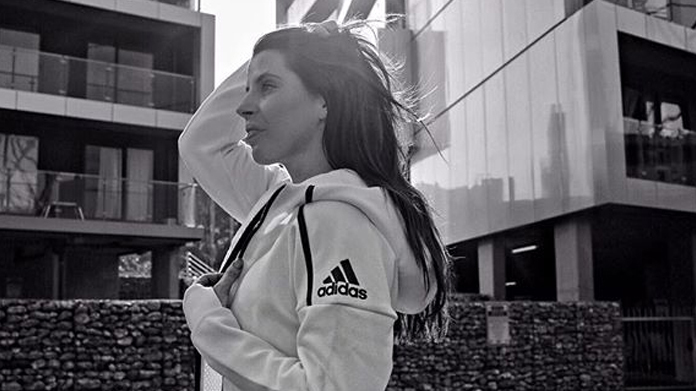 Releasing content at the same time as the global advertising went live in order to create a UK filter, helping drive awareness and crucially conversation around the hashtag – #FINDFOCUS. Working with personal trainer Bradley Simmonds, vlogger and personal trainer Zanna Van Dijk, yoga teach Adam Husler, YouTuber and personal trainer Carly Rowena, YouTubers The Lean Machines and fashion blogger Chloe Miles – we shot content with them that was then posted through their channels around the launch including Instagram and Snapchat. Crucially they helped to drive the discussion around #FINDFOCUS via blogging on how they found focus in their day-to-day pursuits and asking their followers to share their own moments of clarity. The results speak for themselves with the Z.N.E. hoodie selling-out in the UK within a few hours of launch with social content driving 2000 recorded visits to the adidas ecommerce page. Additionally the combined UK posts gave the launch a reach of 3 million with 615,000 views of the content and influencer Bradley Simmonds posting seven more times organically to his 130,000 following.